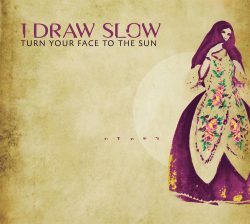 As American bluegrass/roots music is essentially born of Celtic roots music, the emerging success of I Draw Slow in the USA is no surprise, although I Draw Slow is quite a strange band name – whether it relates to pencil and paper or six gun skills is a mystery hereabouts. The line that separates these two folk sides of the Atlantic, musically, is indecipherably thin, arguably non-existent. The voices of Louise and Dave Holden dart between the shores with ease and grace, showing strength and subtlety in the right places from Dublin to the Carolinas. Perhaps inevitably there’s no real new ground being exposed here, though to level such as a criticism would be missing the point. There’s a big fan base for this type of roots music and I Draw Slow are well set to claim their share. Skilfully executed, cliché free Transatlantic folk.